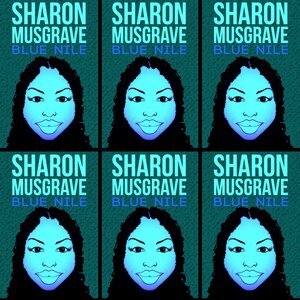 (January 17, 2018) Whether exercising her effortless voice with house beats or just chilling with a jazz ambience, Sharon Musgrave always finds ways to craft sweet vibes. Those who tracked her earlier career with dance producer William Orbit’s imprint Bassomatic and songwriting/backing vocals contributions for Maxi Priest and others realized there was a solo career on the horizon. With two impressive full-length offerings in Selah and Outflow, Musgrave’s musicality transcends categories packaged with a welcome mix of world, funk, R&B, and even spoken word. Though the wait for a new project since 2011 might drop the ‘whatever might have happened to’ thoughts, the Canadian native occasionally finds time to find time in the studio for a single or two. While still waiting patiently for CD number three, Musgrave delivers a quiet Spanish flavored, introspective tale of a mystery man in “Blue Nile:” “He’s fulfilling his desires/ To create an exclusionary zone…He’s fulfilling his desires/Make a sound bold and decisive.” The gently swaying, soulful orchestrations compliments Musgrave’s impeccable storytelling skills. Based on this colorful work of musical art, Musgrave’s fans and the SoulTracks community sincerely look forward when the next full-length comes to fruition.